When you think about home, words like safety and security typically come to mind. However, for the Alfred family, this was not the case. The family struggled to find an affordable and decent place to live, and ultimately had to settle in an unsafe and overcrowded space, where even the landlord wouldn’t take responsibility for the condition of the property. For those reasons and more, Ms. Alfred was determined to change her living situation and build a better future for her son and daughter- and build they have! While working on the construction site, Ms. Alfred’s son discovered that he has a knack for construction and for leading volunteers on the work site – not to mention a smile that can light up a room! We are proud to have had the Alfred family as partners on our 100th home. 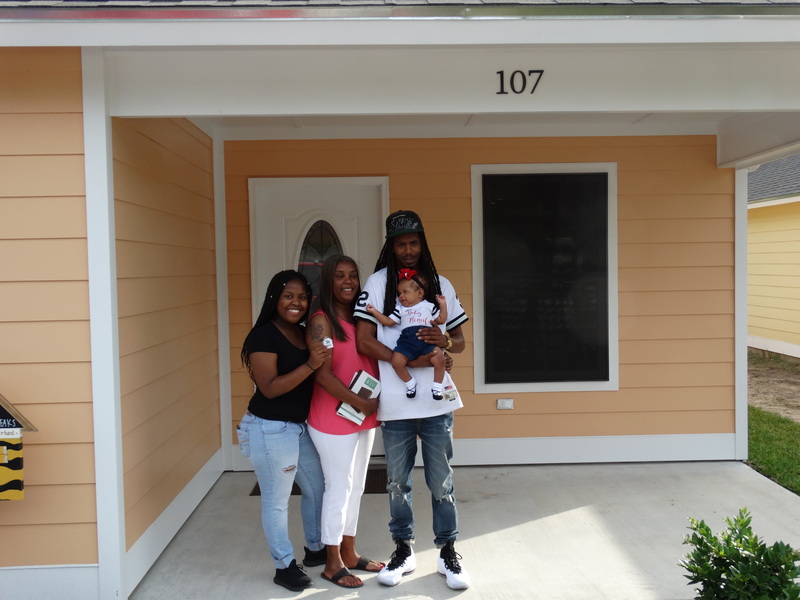 The family received the keys to their new home in December 2014, just in time for the holiday season.